Listed below are a variety of tools and resources that can be utilized with MODIS Data. Each listing provides a link to the tool or resource and a short summary of its use. Built on top of middleware services, the AppEEARS interface enables users to input precise sample locations - such as a field study site or a flux tower - and access analysis-ready data from land MODIS products held by NASA's LP DAAC. AppEEARS provides interactive time series and scatter plots, allowing users to preview and interact with their query results before downloading them. Users are also able to view quality information and pixel values in table format in addition to the interactive plots. Earth Data is a website containing a vast amount of information on use and access of all NASA Earth Observing System Data and Information System (EOSDIS) data products. All MODIS data products can be accessed from the website. The Earth Data website provides many user resources, including tutorials, webinars, as well as data search, discovery and processing information. Discipline specific information (e.g. Atmosphere, Cryosphere, Land, Ocean, Human Dimensions) is also featured on the website. This application allows you to search, discover, visualize, refine, and access NASA Earth Observation data. The site provides hundreds of MODIS data collections across mutliple disciplines. EarthExplorer is an U.S. Geological Survey (USGS) data search and order website that provides access to multi-sensor satellite and airborne data sets in the long term earth science USGS data archive. The MODIS Land data products available from this websites include Land Surface Reflectance (M*D09), Land Surface Temperature and Emissivity (M*D11), Land Cover (MCD12), Vegetation Indices (M*D13, MOD44A,B), LAI/FPAR (M*D15), Water Mask (MOD44W), Thermal Anomalies and Fire (M*D14, MCD45), Gross Primary Productivity (M*D17) and BRDF and Albedo (MCD43). Giovanni and Giovanni 4 are Web applications developed by the GES DISC to provide a simple, intuitive way to visualize, analyze, and access Earth science remote sensing data, including large data volumes, particularly from satellites, without having to download the data. The MODIS Atmosphere data products are available to analyze with this tool. Giovanni 4 is the next generation of Giovanni, designed to be faster, more interactive and easier to learn than its predecessor. NASA's Global Change Master Directory (GCMD) provides a directory listing of Earth science data sets and service descriptions, including all MODIS data products. The GCMD is one of the largest public earth and environmental science metadata inventories currently known. The HDF-EOS to GeoTIFF converter (HEG) tool converts MODIS hdf formatted data files into GeoTIFF, native binary or HDF-EOS Grid. The HEG tool also has reprojection, resampling, subsetting, mosaicing and metadata creation capabilities. The above two tools are data visualization programs that read HDF files and allows the user to visualize these files. Both tools are applicable to all MODIS data products in HDF format. Of note, HDFLook is receiving limited update support at this time. The HDF Group provides HDF Technologies products that can be used for data management of HDF4 and HDF5 formatted data. The HDFView java tool can be used for browsing and editing MODIS HDF4 and HDF5 files. The LP DAAC Data Pool holds all data distributed by the LP DAAC. Users can access original HDF data files via individual click and download or by pointing scripts to the Data Pool. The DAAC2Disk Download Manager allows users to simplify the search and http download process by using a script that can be downloaded and executed from the command line (available in Windows, Linux/Unix and Machintosh platforms). For more information, please see the user guide. McIDAS is a free satellite data image viewing tool that can be used on the user's computer or on remote public satellite data. All HDF formatted MODIS data can be used with this tool. Basic quantitative analysis can be completed. 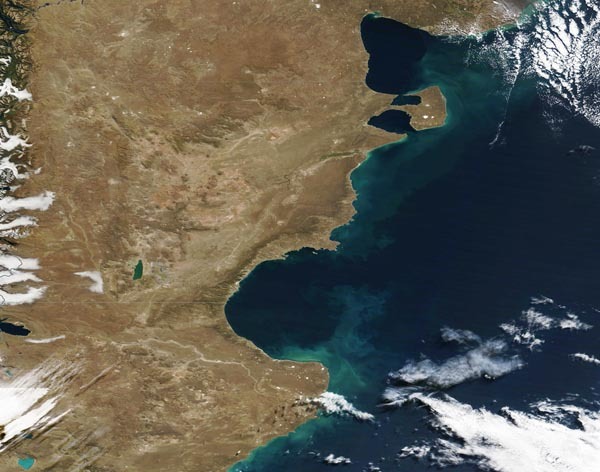 MODIS Level 1 and Atmosphere Products data are available as quick browse images for visual and qualitative inspection within the MODIS atmosphere group website. MODIS Level 1 data is available to browse at the swath and global resolutions, MODIS Atmosphere Products are available to browse at global resolution. MODIS Level 1 and select Land data products are available as quick browse images at global resolution. These images allow for a rapid synoptic quality assessment of data. Collections 4, 5, and 6 are included for browsing as available per product. The MODIS Land QA tutorials are designed to provide an introduction to the basics of how QA metadata are packaged and implemented, and how users interact with them to parse and interpret the information. The tutorials include four lessons: 1) How to find, understand and use the quality assurance information for MODIS land products; 2) How to interpret and use MODIS QA information in the Vegetation Indices product suite; 3) How to interpret and use MODIS QA information in the Land Surface Reflectance product suite; and 4) How to interpret and use MODIS QA information in the BRDF and Albedo product suite. LAADS Web is the web interface to the Level 1, Atmosphere Archive and Distribution System. LAADS Web provides quick and easy access to all MODIS Level 1, 2 and 3 Atmosphere and Land data products with a number of post processing options. Post processing options include subset by parameter, area or band, mosaiced, reprojected or masked. The website also provides quick look true color RGB and false color images of selected data sets. The MODIS LDOPE QA Tools are a subset of software tools designed and developed by LDOPE (Land Data Operational Product Evaluation) that can be used to manipulate, visualize, and analyze MODIS data. The QA tools are part of the operational quality assurance process performed at NASA GSFC, and these tools are made available to the user community to help parse and interpret the MODIS data products. The MODIS LDOPE QA Tools are written in C; they are executed either from the command-line or invoked via scripts. The MODIS Swath-to-Grid Toolbox (MS2GT) reads MODIS swath HDF-EOS data files and produces gridded data binary files. MS2GT can output data in a variety of map projections. MS2GT can also produce a seamless output grid from multiple MODIS swath input files. 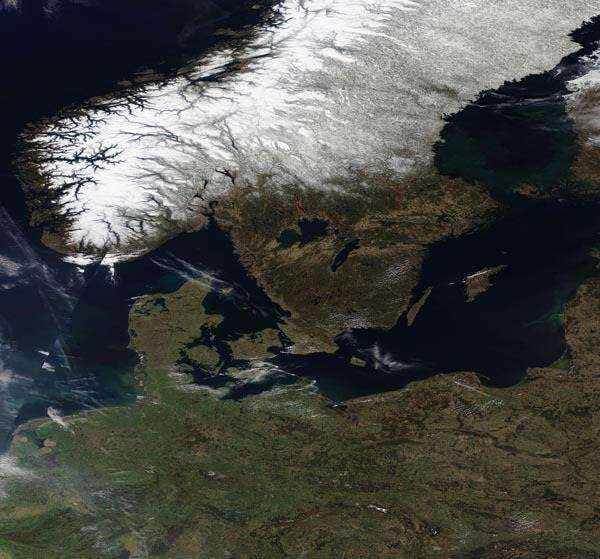 The MODIS Web Service is a tool that provides users with a means to order subsets of MODIS Land Products through standards based SOAP (Simple Object Access Protocol) established open source formats. Examples of currently supported open source formats: (1) OPeNDAP DAP, (2) OpenSearch and (3) Web Map Tile Service. The Open-source Project for a Network Data Access Protocol (OPeNDAP) Data Access Protocol (DAP) is a method for requesting and moving data on the web. 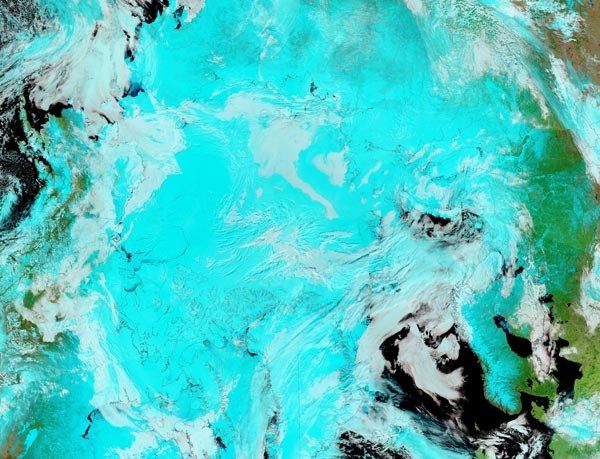 Several of the DAACs including Physical Oceanography DAAC, GES DISC and LaRC offer the capability to use OPeNDAP to retrieve MODIS data products. OpenSearch is a protocol or format structure used to communicate search requests and search results. OpenSearch is used at LANCE-MODIS and LAADS Web. Web Map Tile Service (WMTS) is a protocol or format to host georferenced map tiles. WMTS is used with NASA EOSDIS Global Imagery Browse Services (GIBS) for serving MODIS data. The ORNL DAAC MODIS Land Products Subsetting and Visualization Tools allow users to request subsets of specific MODIS Land Products synoptically or programmatically. The subsetter tool outputs data in ascii format, and provides the option to visualize data in temporal resolution with graphs and statistic outputs. This tool from NASA's EOSDIS allows interactive browsing of global satellite imagery from MODIS and within hours of data being acquired. Worldview users can display layers of data, including satellite orbit tracks which can be overlaid on data.